Much of the lesson on Suffering for Christ (Lesson 6) may be a little theoretical for us. But it wasn’t so for Richard Wurmbrand, the subject of the book, Tortured for Christ. It’s not a story for entertainment, but it will inspire and build your faith. Victor Frank’s book, Man’s Search for Meaning, was formed in the crucible of his own experience in Nazi concentration camps. Frankl argues that we cannot avoid suffering but we can choose how to cope with it, find meaning in it, and move forward with renewed purpose. His theory of psychology directly contradicts that of Freud. He believes that our primary drive in life is not pleasure, as Freud maintained, but the discovery and pursuit of what we personally find meaningful. You may download the full lesson quarterly from Amazon in Kindle format and read it in your free app. (Canadian Link, UK Link) This will look very much like the paper version, but without some of the ads. As is usual for Kindle books, you can highlight passages with different colors, and you can make notes right on your pad or phone. Your notes will be kept in a “Notebook” attached to the book. But the Bible texts are not linked the way they are in the web version. (It is useful to keep a Bible app open in another window.) You can also highlight and copy passages or even whole lessons into another app or email from your phone, but not from your desktop computer. Sabbath School Lesson Comments by Ellen White (Amazon US link) This is an alternate set of Ellen White comments on the 1 & 2 Peter lessons, edited by J. L. MalmedeVanAllen. (Amazon Canada Link | Amazon Great Britain Link) In this version of Ellen White comments, each day’s lesson begins with the main text from the actual Adult Bible Study Guide, followed by quotations from more obscure sources, such as original manuscripts, original periodicals, etc. The quotations are slightly longer than those in the Pacific Press version. S.D.A. 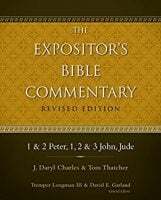 Bible Commentary Volume 7, 1957 Ed. (Ellen G. White Comments Only) Kindle Edition This digital version covers the Ellen G. White comments on the books of Philippians, Colossians, 1 & 2 Thessalonians, 1 & 2 Timothy, Titus, Philemon, Hebrews, James, 1 & 2 Peter, 1, 2 & 3 John, Jude and Revelation. Journey Through the Bible from Matthew to Revelation, by Ken Wade. The third in Ken Wade’s Journey Through the Bible series includes 1 & 2 Peter. Wade approaches the text from a practical Christian perspective. Only available in Kindle format. Martin Luther’s Commentary on Peter and Jude(Grand Rapids: Kregel Publications, 1982) as mentioned in the Introduction to the 2017b quarter. This is only available in hardback format. Desire of Ages in Paperback or Kindle format. Modern language version of Desire of Ages in Paperback or Kindle format. Acts of the Apostles in Paperback or Kindle format. Acts of the Apostles, by Ellen White, tells the riveting story of the early Christian Church, and Peter played a prominent part. So this is an excellent resource on the Apostle Peter. Read it again, or read it for the first time. If you’ve read it before, you can gain fresh insight from the modern-language version, Unlikely Leaders in paperback or Kindle format. The modern-language editions read more smoothly for modern readers, with current language, shorter sentences and some abbreviation, such as leaving out some Bible texts. It is perfect for young people and anyone whose first language is not English. Biographical Bible Study: Peter (1996a) A weekly topic.